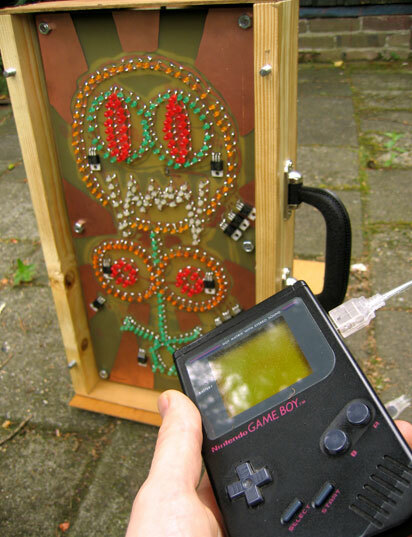 Gijs conceived it as a way to add to his Game Boy performances. This may be not safe for work. It depends on how what you think those flashing circles are. I do think someone in comments on Gijs’ site is reading way too much into the eyes, though.